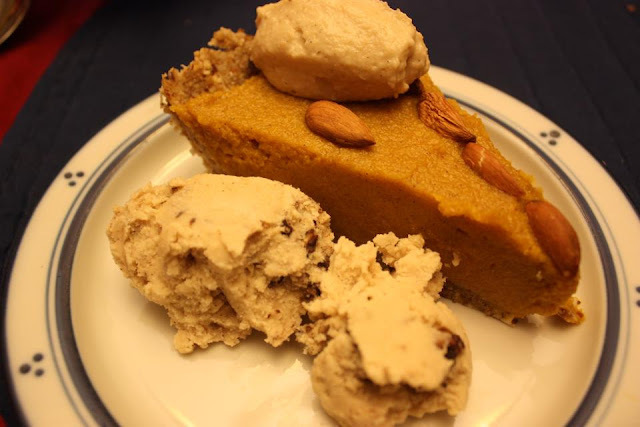 This Rawsome Vegan Life: thankful for raw pumpkin pie! 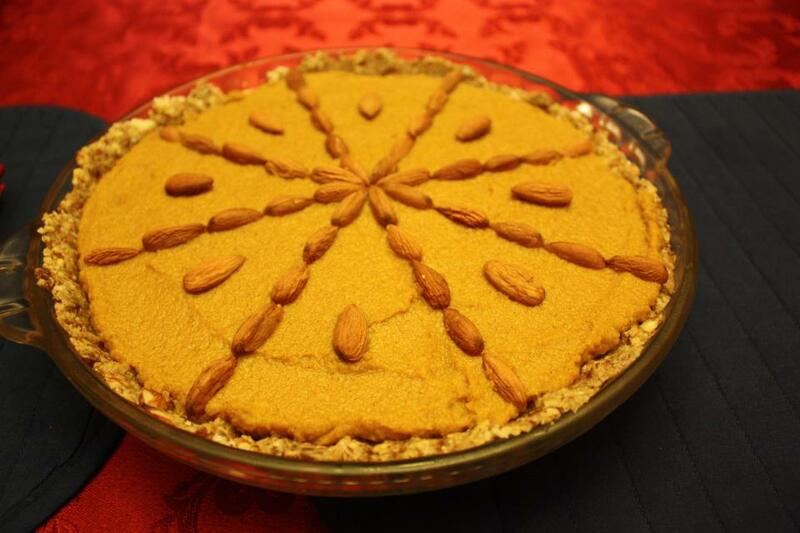 thankful for raw pumpkin pie! *Here's the recipe. * This October I was lucky enough to find a raw potluck downtown. They meet every last Sunday of the month at Eternal Abundance in Vancouver. Each person is supposed to bring a dish to share and I was inspired by the season to make pumpkin pie - rawafied! I found a beautiful sugar pumpkin at the farmer's market and was able to make quite a delicious and pretty pie. In fact, I had enough pumpkin to make two! One for my family's thanksgiving dinner, and one for the potluck (which is next Sunday). My family seemed to really enjoy the pie. As always, they have trouble believing me when I tell them it's healthier than a bowl of "whole grain" cereal! It's a wonderful world we live in when we can eat pumpkin pie and fill ourselves with living enzymes and nutrients at the same time. I served it with the MOST DELICIOUS "ICE CREAM" EVER. I'm making pumpkin pie 2.0 this week I suppose, for the potluck. Until then I've just let the cubed pumpkin sit in the freezer. I presume it might be even better for processing because it will be a little softened after thawing. I lightly toasted the pumpkin seeds for my family with a little olive and salt. Mmm, nothing like the smell of toasting pumpkin seeds, you know it's Fall! This. Sounds. Fabulous. Do you think I could sub regular canned pumpkin puree?? Thank you!